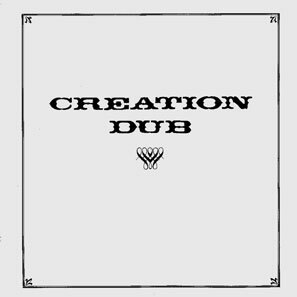 Pretty much since its original release in 1977, Creation Dub has been as Wanted amongst reggae bounty hunters as its Wild West cover typography suggests - every track a killer, a key Bullwackies dub album. 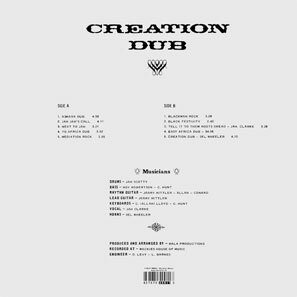 The record inaugurated Wackies' fruitful London connection: the second-pressing sleeve carries a nostalgic distribution credit for the long-gone Maroons Tunes shop, run by Rae Cheddie for Honest Jons. The core musicians here are Allah, Clive Hunt and Jerry Harris, with outstanding contributions from hornsman Sel Wheeler and Roy Robertson on bass, and John Clarke on the single vocal track. Included are dubs of rhythms voiced for Wackies by the Chosen Brothers, Joe Auxumite and K.C.White, alongside versions of Mammy Blue, Bo Kirkland's soul classic I Want To Get Next To You, and a superb reprise of Sel Wheeler's 12" cover of Jo Jo Bennett's Leaving Rome.